Ready for a 1-3 Gallon container. You are bidding on one lush strong seedling with vigorous root systems 10-18 inches tall with 2-5 leaves born and grown in Hawaii. 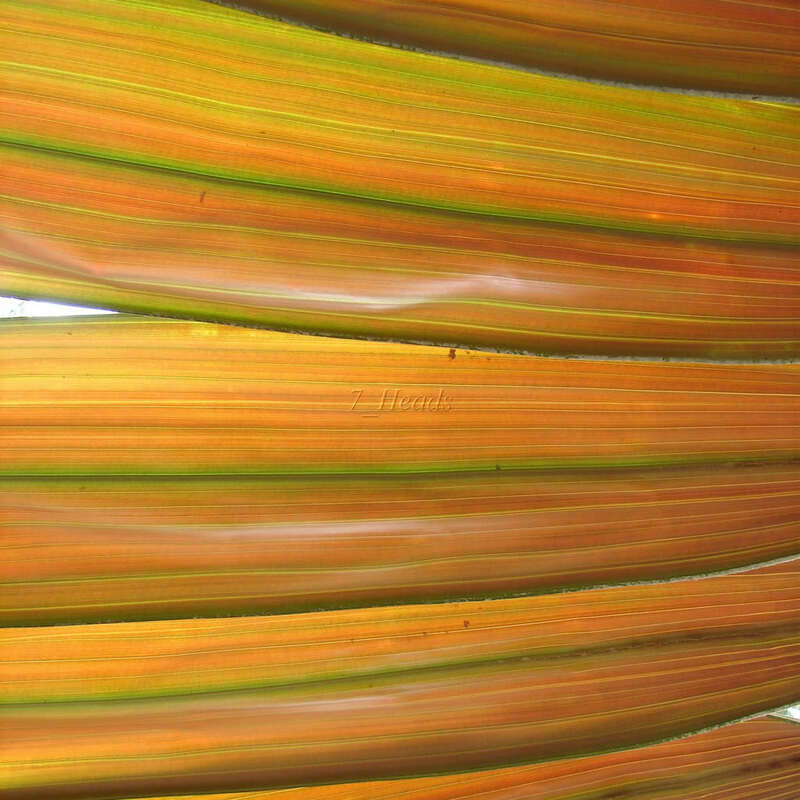 This is a popular palm in the tropics. 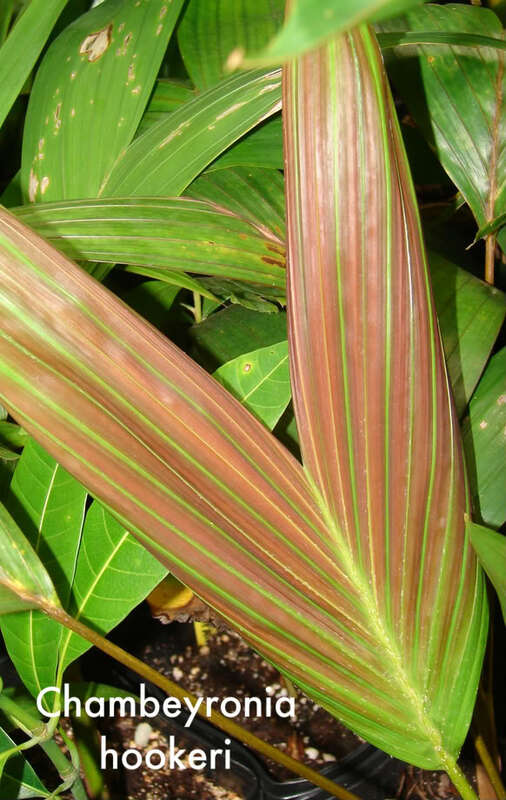 Large feather palm to about 60 ft, with a spectacular, bright red new leaf, which stays red for up to 10 days. The leaflets are also very wide, thick, and shiny so even without a new leaf it is very distinctive. The Blond Flamethrower Palm prefers light shade but will tolerate full sun on any well-drained soil. All palms are shipped bare-root wrapped in moist sphagnum moss to ensure the plants healthy transit to you. After your new palms arrive, pot them in your new container using a fast draining potting mix and water generously. Plant your new palm at the same soil height as it was before being unearthed. The very top of the roots should be visible a little bit. Do not cover the trunk or crown shaft with the potting mix. New potted seedlings will be sun-sensitive. Keep in a shadey spot out of the full sun. A native of New Caledonian forests of low altitude and high rainfall, Chambeyronia hookeri is one of the most beautiful palms in cultivation. It is suitable for moist sub-tropical and tropical climates. Chambeyronia hookeri is a graceful plant, with a slender gold trunk and crown with only a few arching fronds. Flowers are pink to cream and the fruit is crimson. 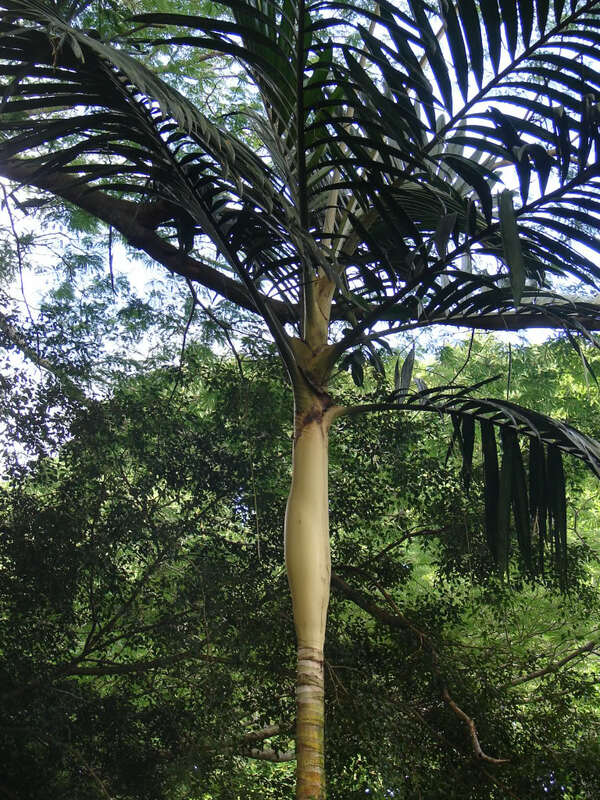 This spectacular palm is in high demand for landscaping in tropical and sub-tropical areas. It also makes a great house plant for a sunny location.